Our research identified four distinct types of highly successful entrepreneurs across startups and corporate ventures. Each builds differently. Which Type are you? Knowing your Type helps you shape your idea, transform your team, convert customers to partners, align with investors, and propel your strategy. Drivers can't help themselves. Entrepreneurship is almost hardwired into their very identity. Explorers are inveterate problem seekers and solvers. Their solutions focus on product or process, or both. Crusaders are motivated by an intense desire to make the world a better place, by solving problems that matter. Captains are team assemblers, intent on creating a company culture around values and accountability. Which Type are you most like? Take our 2-minute quiz to see how your motivation, decision-making mode, management approach and leadership style define your Builder Personality. Product-market fit is central to the Lean Startup movement. 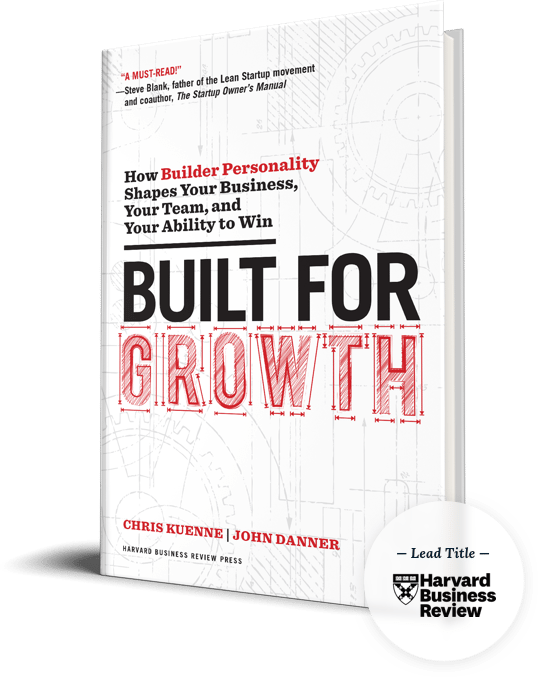 In this essential book, Kuenne and Danner focus on the fit between the founder’s personality and the teams, customers, and investors needed to build for growth. A must-read! In order to achieve long-term growth, large corporations must foster the entrepreneurial spirit. 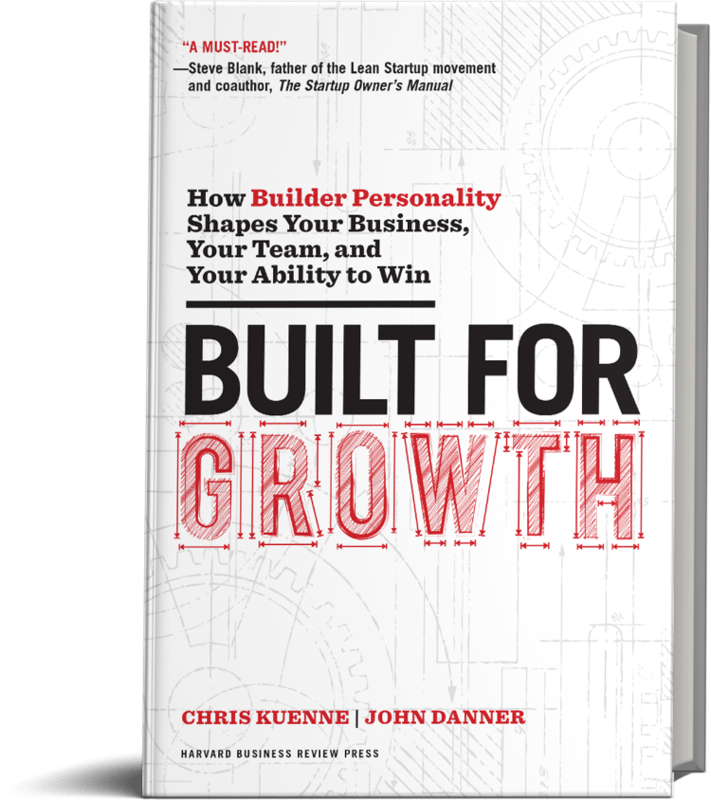 Built for Growth provides a practical framework on how corporate leaders can foster, deploy, and support entrepreneurs inside their companies to unleash innovation and growth. © 2017, Chris Kuenne and John Danner. Amazon and the Amazon logo are trademarks of Amazon.com, Inc. or its affiliates. We are a participant in the Amazon Services LLC Associates Program, an affiliate advertising program designed to provide a means for us to earn fees by linking to Amazon.com and affiliated sites.